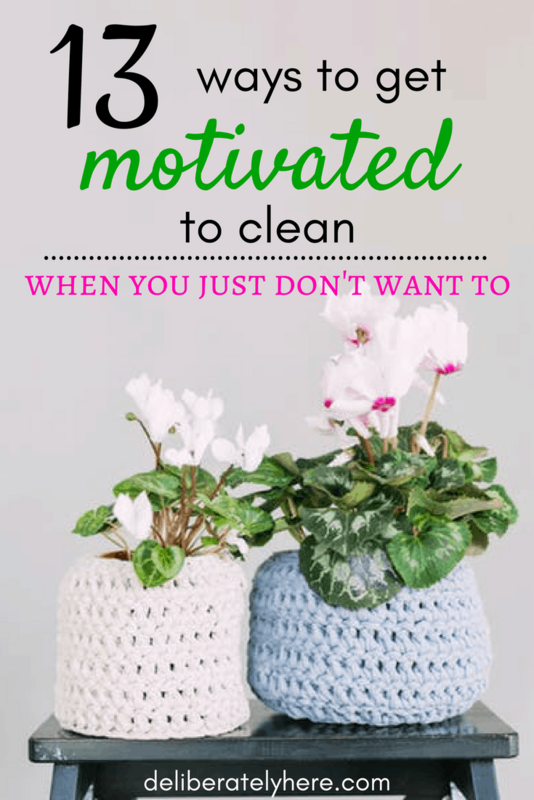 Do you ever find yourself lacking motivation when it comes to cleaning? Especially when it comes to cleaning YOUR house? I love having a clean house, but I don’t always particularly love cleaning my house. The thing I struggle with the most about cleaning our house is that it takes hours of time every week, yet right after you clean something it’s back to being dirty. Whether you have a husband that works at a dirty job and brings dirt home with him or your kids spend all day running around the house putting greasy fingerprints on your stainless steel appliances (if they do, this is all you really need to buff them out and keep fingerprints off) and leaving a trail of crumbs everywhere they go, having a dirty house is something many people just accept and live with. But what if you’re sick and tired of having a dirty house? What if you want a clean house that you can be proud of? If that’s the case, my friend, it’s time to gear up and get ready to CLEAN your house. And, to do that, you’re going to need some cleaning motivation. Something that will help you enjoy the cleaning process so you’re not wasting your time. Turning on some kind of background noise, whether that be your favorite music or radio station, a podcast, or a sermon, will help take your mind off of the task that you’re doing and will pass the time a lot quicker than if you’re just focusing on cleaning. Personally, I don’t usually use the timer method for myself because when I get into a cleaning groove I like to motor through and keep at it until it’s done, but that’s not the way that everyone likes to go about cleaning. Some people may be opposite and knowing that they’re going to spend the next several hours cleaning their house until it’s completely done is enough to send them running for the hills. If you struggle to start cleaning when you can’t see an endpoint, using the timer method would work perfectly for you. All you do for the timer method is grab a timer (I recommend this one) and set it for a short period of time, anywhere from 5 – 30 minutes, but you shouldn’t exceed 35 minutes or you’ll most likely run out of steam by the end and start cleaning half-heartedly. When you’re ready to start, get rid of all distractions (yes – that means your phone, too), start the timer, and focus on nothing but cleaning until that timer dings. Once the timer dings, even if you haven’t finished whatever it is you’re cleaning, take a short break. After you’ve taken your break you can either come back and clean again for another period of time, or you can leave it until tomorrow. One of the best and most impactful house cleaning tricks I’ve ever learned is to clean up as you go, rather than leaving everything to be dealt with in the evening. Do small cleaning tasks throughout the day like washing dishes or loading them into the dishwasher as soon as you’re done with them, putting toys and random objects back where they belong instead of leaving them lying around (if you don’t have time to do this every day, I suggest using one of these to collect all the objects throughout the day then all you have to do is grab the basket at the end of the day and put everything back where it belongs with one short trip around the house), and wiping up spills/marks on the wall throughout the day. Getting a new cleaning product like this one (which also fights sickness) will help you get more excited to clean your house (if even just for the first couple times you use it). Or, better yet, you could make your own cleaning solution using vinegar and water and infusing it with citrus peels (lemon is my favorite) and clean your house using that. If you make your own cleaners, you’ll need one of these spray bottles. Anytime I invite people over to our house I always go on a cleaning frenzy. This cleaning trick might not work for everyone, but it will work for some. If your house is a mess and you’re struggling to find motivation to clean it, invite some friends over for the afternoon (make sure you give yourself enough time to clean), then spend the morning cleaning your house. Even if you don’t get it looking spotless, this should at least motivate you to get the most important cleaning tasks out of the way. But really. As soon as you’re done reading this get up, grab your cleaning supplies, and just do it. Set your timer and tell yourself you won’t do anything else until that timer dings (even if it’s just set for 5 minutes). If you’re wondering what cleaning supplies you should always have on hand, here are my 5 must-have cleaning products. Anything that could distract you from doing your cleaning needs to be put away (far away from where you are working). This includes the TV (at least make sure it’s turned off), the computer (make sure it’s shut down), your cellphone (should be in a different room than you), and anything else that might distract you from cleaning. As soon as you finish a cleaning task, or if you’re using the timer method as soon as the timer goes off, take a break from cleaning and do something you enjoy. Whether that be having a snack, playing with the kids, or sitting down and reading a book. Don’t overdo it, take a short break then get right back at cleaning. I find it’s a lot easier to clean when I know that once I’m done, I can do something that I enjoy. It’s hard to take pride in a dirty and unorganized home. Keeping your home clean and tidy will help you go from being embarrassed about your house to being proud of it. 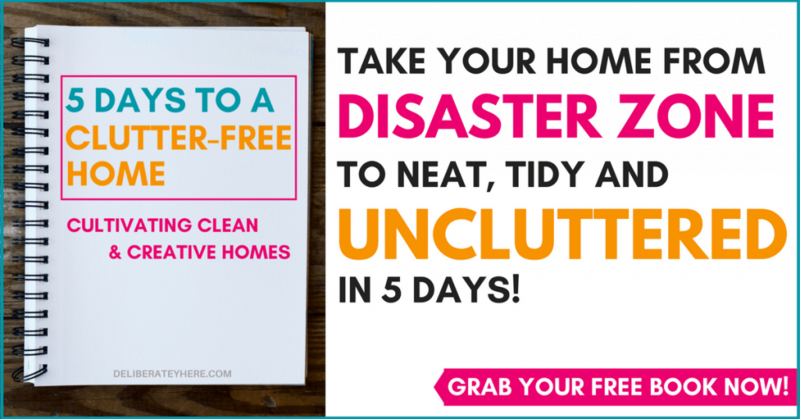 This is my favorite home organization course and I use the methods often. I find it’s easier to clean our home when it’s not cluttered in stuff, so I like to make sure it’s organized first, then I have less to clean. 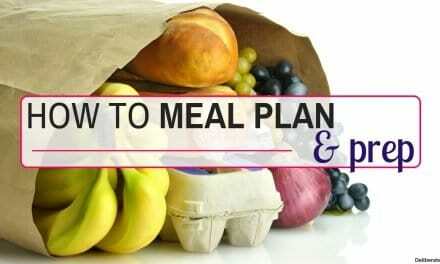 You can grab The Organized Home Course for 10% off here with the code DELIBERATE10 . When people hear this one, oftentimes the first thing they’ll think is that “yeah! 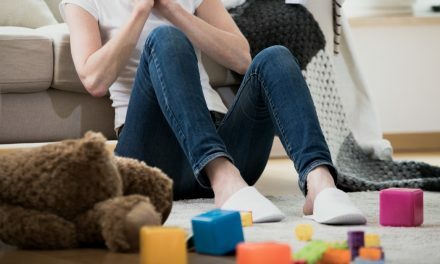 Kids really need to learn how to put stuff away when they’re finished with it” but I believe that this point can be directed towards adults just as much as it can be directed towards kids. How often do YOU leave something lying around your house where it doesn’t belong because you don’t have time (or don’t want) to put it back where it belongs right now? Start making a habit of putting stuff away as soon as you’re done with it. If you’re done reading a book, put it back in the bookshelf rather than leaving it on the coffee table. When you’re done changing your baby’s diaper, put the wipes back where they belong rather than leaving them out. When you’re done drinking your coffee, put the mug in the dishwasher instead of leaving it out. Many people leave their blinds closed and keep their lights on all day long. Doing this gives a house a gloomy feeling, rather than the bright and cheery feeling that natural light offers. Open up your blinds and let some natural light into your house to help energize yourself (and lower your electricity bill). Some people like to clean with cleaning schedules, other people don’t. Some people’s cleaning schedules are flawless and they follow them to the dot, while other people use cleaning schedules loosely. 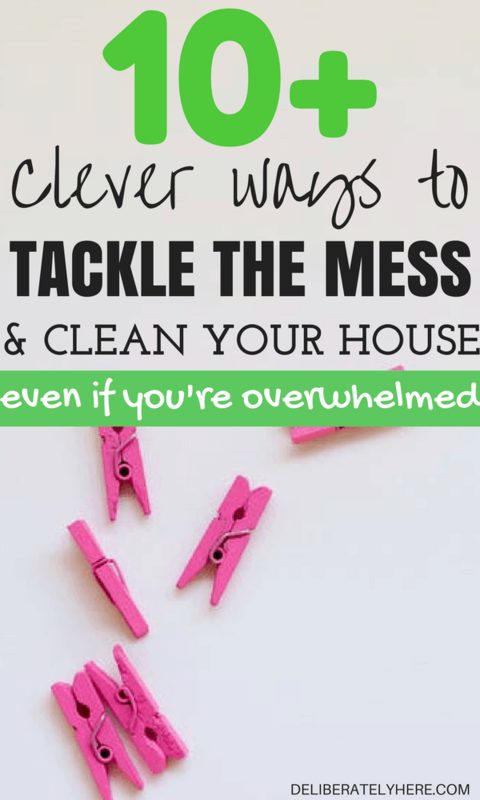 I am a strong believer in the power of using a cleaning schedule, but I also know that each and every family’s needs and daily lives are different, and that means that there is no one-size-fits-all when it comes to cleaning schedules. If someone else is having great success with their cleaning schedule but you just can’t seem to get it to click, try altering it or ditching the schedule altogether. If you want to give using a cleaning schedule a shot, you can grab a free printable cleaning schedule below. 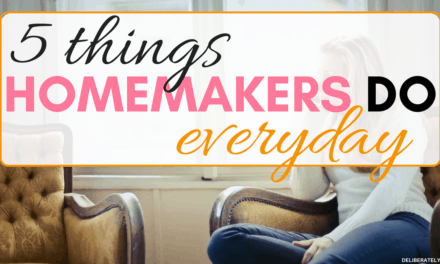 If you’re someone who thrives by checking things off of a list (me, ME! ), creating a daily to-do list can help you organize your days so you have time to clean, organize, and do all your regular daily activities. If you’ve always wanted to be a list person but struggle to follow your list, this formula will help you create to-do lists you will actually follow.